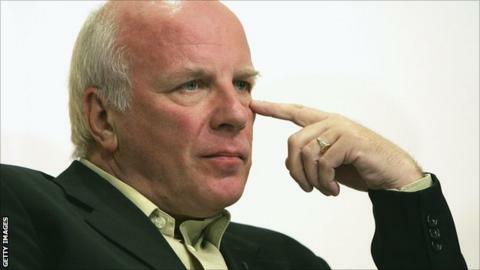 Former BBC director general Greg Dyke is set to be named chairman of the Football Association. Dyke, who must stand down as Brentford chairman to take on the role, will take over from David Bernstein in July, subject to approval by the FA council. "I am very excited to take on this role with the FA. Football has always been a big part of my life," said Dyke. Bernstein, 69, was appointed in 2010 and is forced to relinquish the post when he reaches 70 under FA rules. If ratified, Dyke would take over on Saturday 13 July. He expects to leave his role at Griffin Park at the end of the season, and will also give up his non-executive directorship at German broadcaster Pro Sieben. Dyke, 65, spent four years at the BBC from 2000 to 2004 and is currently chairman of both the British Film Institute and Europe's largest theatre group ATG. Manchester United: He was a director at the Old Trafford club between 1997 and 1999. Brentford: His seven-year stint as non-executive chairman with the League One club will come to an end when he takes up his new position with the FA. "Obviously as chairman of the FA it is imperative that I am neutral so that means giving up my current role as chairman of Brentford, which I will miss," added Dyke. "I do see one of the most important tasks for the FA as, over time, to make thoughtful changes that will benefit the England team. "The FA has made a great start by rebuilding Wembley and developing great facilities at St George's Park but it is essential it finds a way to ensure that more talented young English footballers are given their chance in the professional game at the highest level." England manager Roy Hodgson said he looked forward to working with Dyke: "I don't know him personally but I congratulate him on being appointed to the position. "I've been really pleased with my relationship with David Bernstein and the support he's given me and the work he's done at the FA in my time, and I'm now hoping I'll be able to forge a similar relationship with Greg Dyke and that he will continue in the same way as David has done. "So I congratulate him for the job and I'm look forward to meeting him." Former FA chief executive Mark Palios said: "It's a pretty good appointment. He's a very experienced guy in terms of a public position, which is very important. He's used to dealing with governmental departments and agencies and my take on him is he's a pretty down-to-earth bloke. "He's a football man but not in the sense of somebody who is tarred by the system - and I think in that regard it's a good choice."